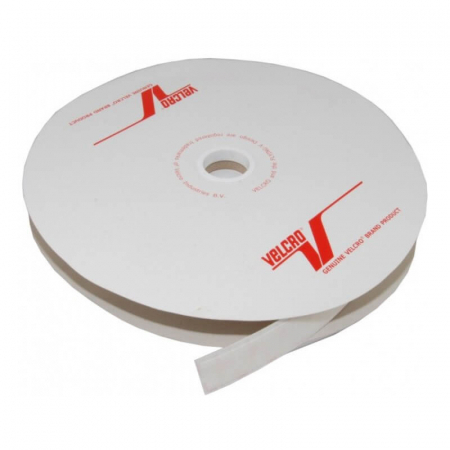 Often seen at wedding fares, school and charity events. 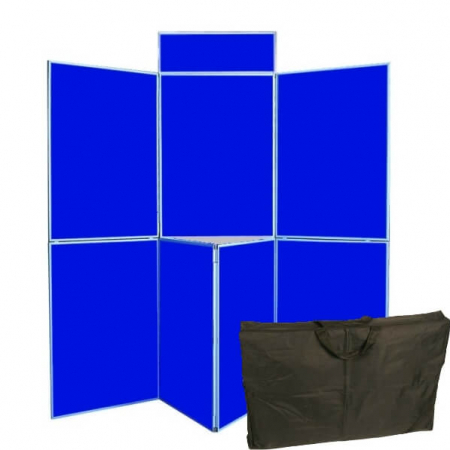 Flexible, lightweight panels covered in a loop nylon fabric. 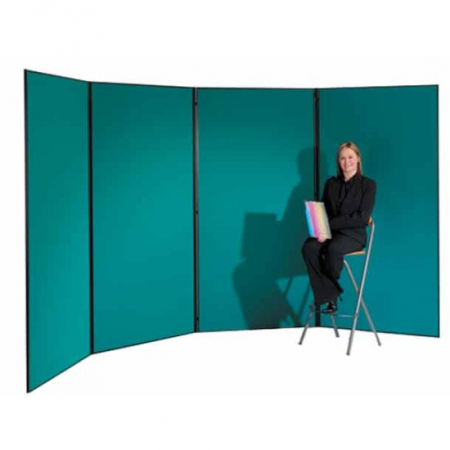 They allow you to attach posters and photographs using hook velcro or fastener. 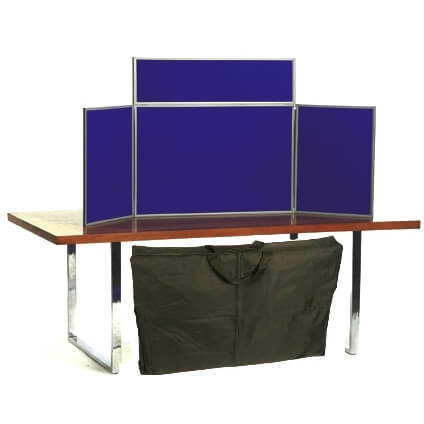 Available as table top or free-standing display boards. 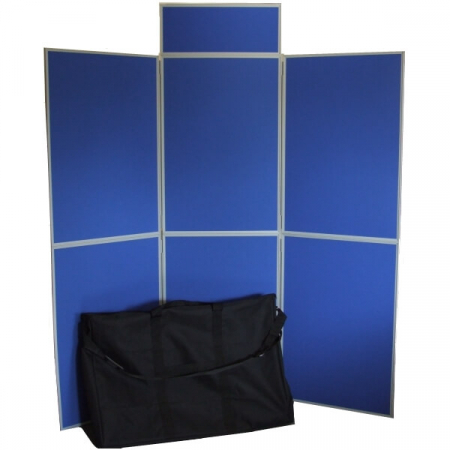 When not in use, the panels fold up and pack away in the supplied carry bag ready for the next event. 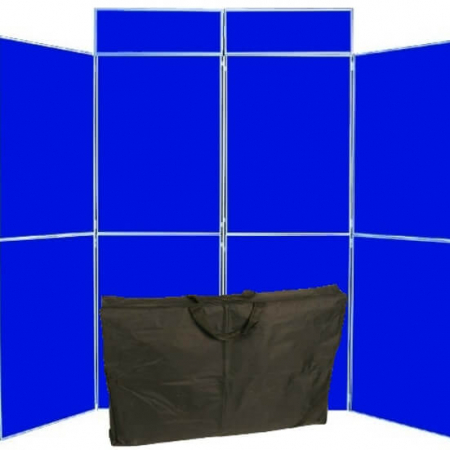 For a more heavy duty panel display, there is the panel and pole system. 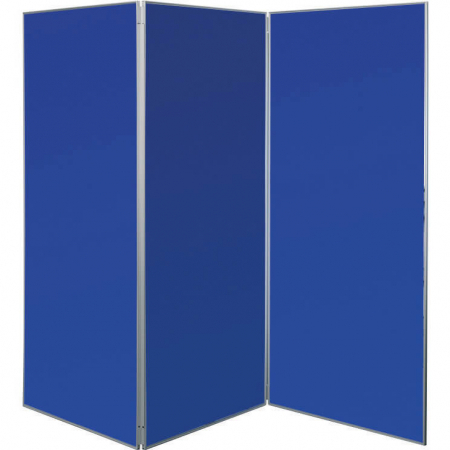 Elevated or floor standing panels using bases, poles and also clips to support the panels. Portrait or landscape orientation. Create almost any configuration you like. 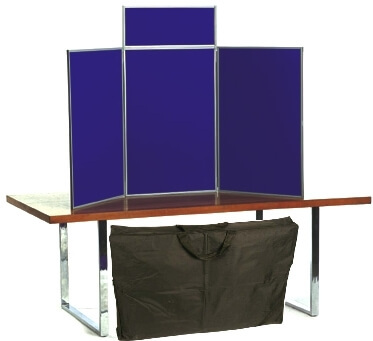 This display system also allows expansion for larger events if required.